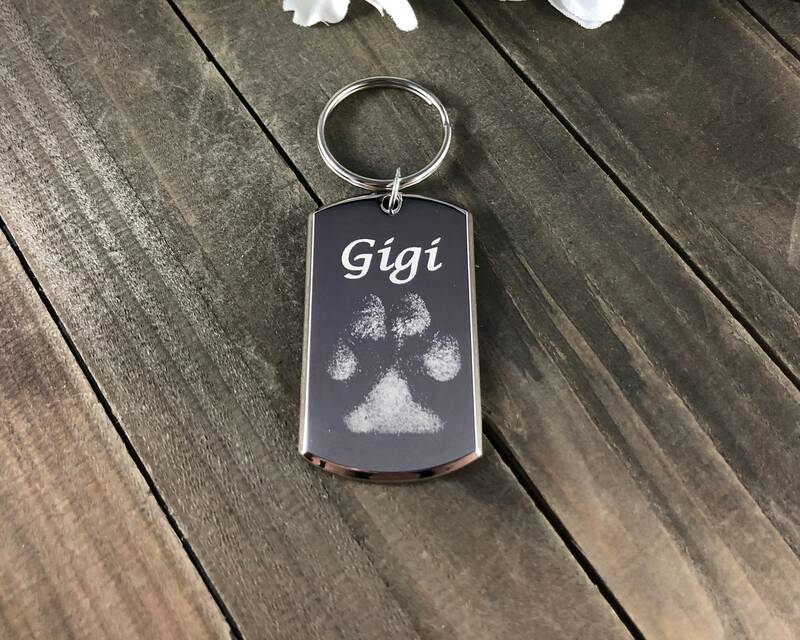 Personalized keychains made from your pets own pawprints! All you have to do is send us a scan or photo of the pawprints and we will send you a one of a kind gift. 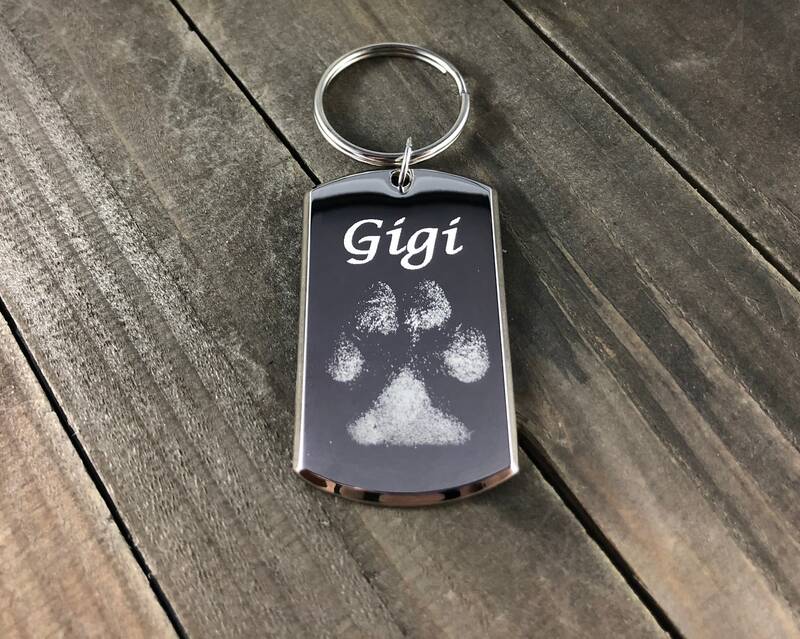 In addition to the pawprints, keychains can be personalized with the names, dates, a few special words, and much much more! You can also choose to have the prints on one side with writing on the back or have it all on one side. Beautiful, as always! I have ordered many pieces from this shop and love it every time. This turned out great. I absolutely love it !!! Very easy process! Seller had great suggestions for which pictures would work best. I love my keychain!! Thank you!! !